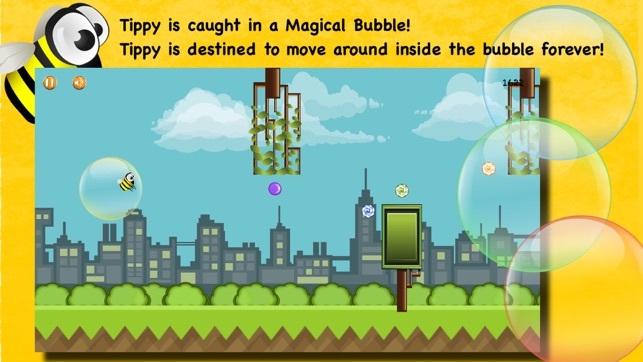 Tippy is caught in a Magical Bubble which passes through everything but does not let Tippy out. Tippy is destined to move around inside the bubble forever. 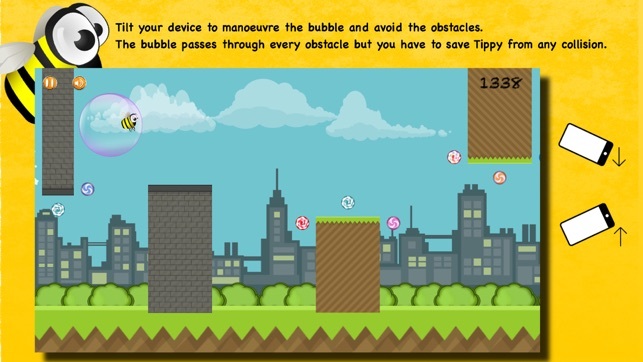 Tippy needs your help to guide the bubble around to avoid all the obstacles coming in its path. Just tilt your device to go up or down and help Tippy survive. Just remember that the bubble can pass through anything but Tippy can't. So avoid Tippy making any contact with the obstacles or else its Game Over. 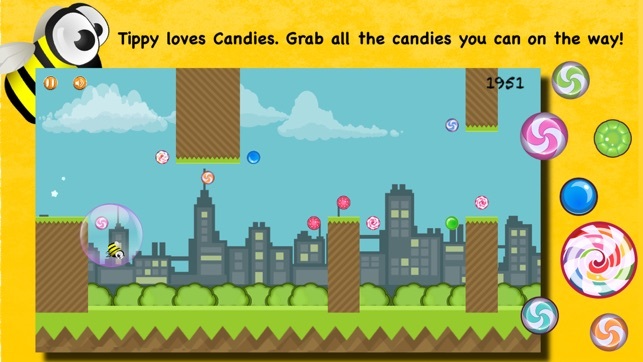 Oh and Tippy loves candy, so make sure to grab as many as you can on the way. Just touch Tippy with the candy and it will gobble it up! 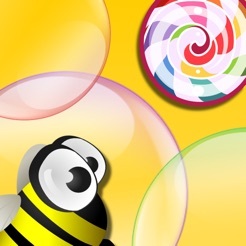 More Candy, More Score!! 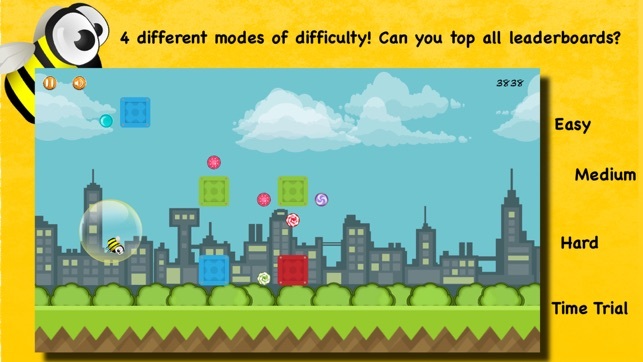 An endless scrolling game that will test the limits of your concentration and reflexes as you set out on a journey to build a high score. 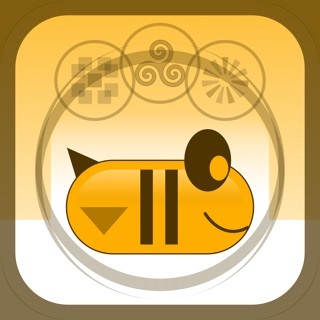 Tippy Bee is a fun and addictive game that looks pretty easy but it is extremely hard to master!! 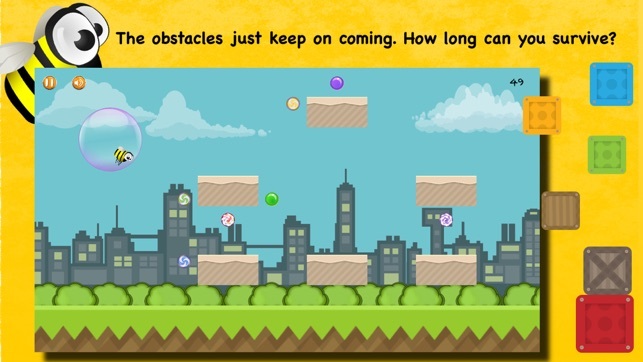 Plenty of obstacles, it will feel like a new game every time you play. 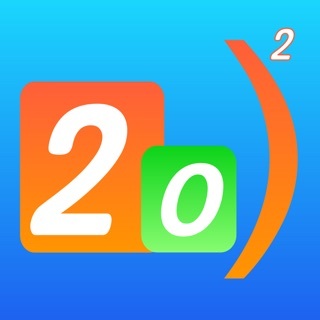 Game Center enabled so build up your high score, check leaderboards and challenge your friends! So whats your best score?